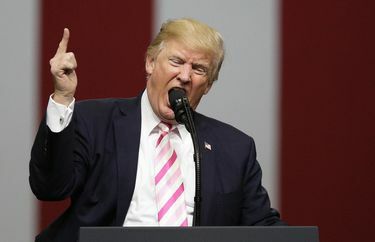 Expect the president’s comments Friday during a speech in Alabama — in which he encouraged NFL owners to ‘fire’ those who protest the national anthem and essentially said ‘So what?’ to growing concerns about players’ long-term health — to backfire. I would imagine, for some time now, there have been NFL players who wanted to sit during the national anthem but lacked the audacity to do so. Perhaps they feared the negative attention that goes with it, or the endorsement money they’d forgo, or 32 teams saying “no thanks” once free agency rolled around. I also imagine that, come Sunday, some of those players wilI sit when the The Star Spangled Banner blares. And it will be our president who gave them the courage. 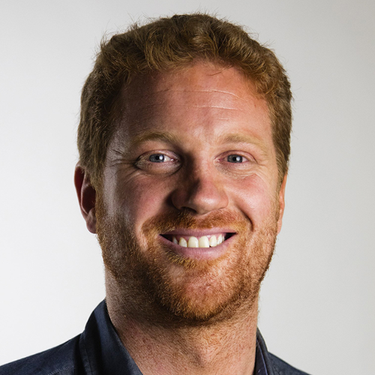 Post-playing-career health, as you likely know, is a growing concern for professional football players. Chronic Traumatic Encephalopathy (CTE) has been linked to depression, chronic headaches, cognitive dysfunction — even suicide. OK, maybe he didn’t say that exactly, but that’s how many players will interpret it. They’ll infer that the man in the country’s highest office places entertainment value over their well-being. Any would-be protester looking for cover just received it. Don’t want athletes mixing sports and politics? Then don’t have a politician giving ill-informed sports opinions. To be clear — this column isn’t an endorsement for players sitting. As I’ve written before, there’s a reason this has become the most intensely debated subject in sports, as the views of pro- and anti-protesters both have merit. But this is recognition that Trump gave players more reason to sit than they’ve ever had — and that his speech Friday likely will backfire. 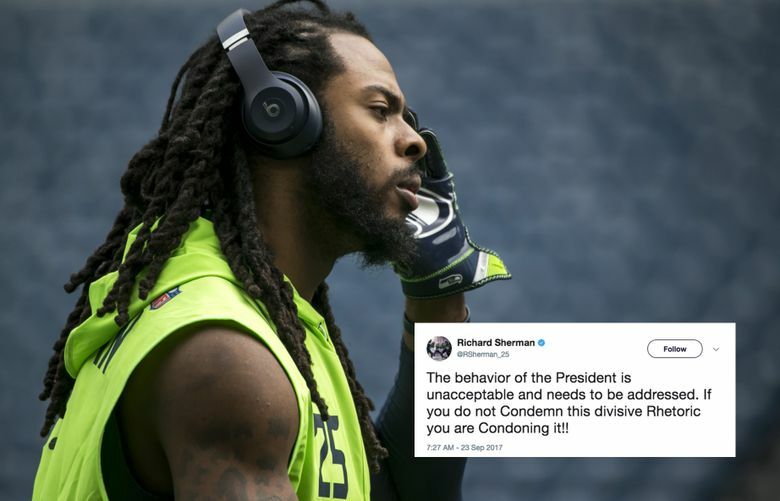 You have to think a good percentage of NFL players have become increasingly angered with the president over the past few months. Remember, Colin Kaepernick’s demonstrations began in response to police brutality, which prompted players such as Seahawks receiver Doug Baldwin to reach out to various officers throughout Washington in hopes of improving policy. 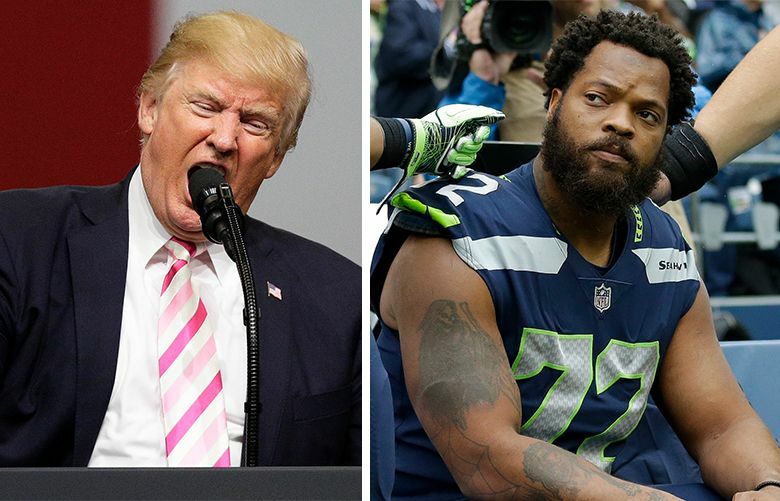 And when Michael Bennett was handcuffed in Las Vegas last month, it spurred various Seahawks to recount their own run-ins with police when they had done nothing wrong. So in July, when Trump encouraged police officers to be “rough” with the suspects they arrest, I can’t imagine that sat well in NFL locker rooms. Just as I can’t imagine his “both sides” response to the Charlottesville, Va., riots did, either. I’m not trying to make a political statement here. I’m just trying to relay how myriad players feel. A guy such as Bennett — who runs multiple charities, helped build houses in Haiti and vowed to donate all of his endorsement money — is highly respected. As is Eagles safety Malcolm Jenkins, who has gone on ride-alongs with Philadelphia police officers and appeared before Congress to plead for criminal-justice reform. A president encouraging owners to “fire” players like that isn’t going to instill fear among their peers — it’s going to incite rage. What’s particularly odd about the timing of Trump’s remarks is that the protest buzz seemed to be dying down. Earlier this week, a colleague and I concluded that most readers had developed “anthem fatigue” and were sick of seeing stories about it. Well, POTUS just gave the subject an adrenaline shot. He made it front-page news again, and — based on the Twitter reactions from dozens of players — upset a good portion of the league. As of Saturday — whether they’ve knelt, sat or raised a fist — nine players have protested during the anthem this regular season. Trump would like to see that number change. It will. Just not in the direction he was hoping.